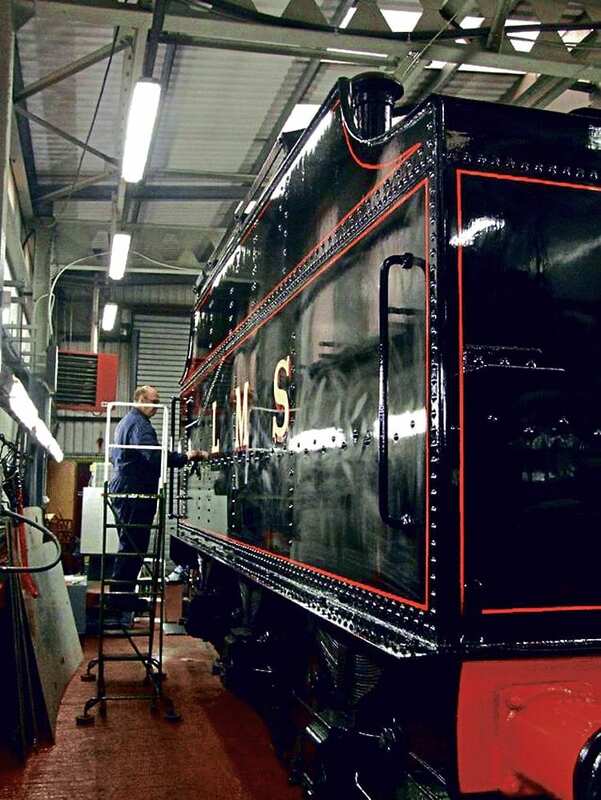 THE overhaul of the sole-surviving Stanier Class 5 Mogul No. 42968 has entered countdown mode as the Stanier Mogul Fund’s 2018 steaming target draws closer. The project took a major step forward during the late autumn when the 2-6-0’s frames took up residence on the lifting jacks at the Severn Valley Railway’s Bridgnorth works. The lift will allow the mechanical side of the overhaul to make further progress, with the driving wheels having now been removed for re-profiling. Five years on from its last steaming in January 2013, the volunteer-led project has seen steady progress made, from the initial strip down and dismantling of components to the cleaning and repainting of the frames, driving wheels and pony truck; replacement of corroded sections of running plate; crossheads remetalled; and repairs to the cab floor. The cab side sheets have been cleaned and trial fitted to the loco to check alignment, and it was hoped these would be refitted permanently in the coming weeks. Next Post:Lines under threat – Will the ‘Flyer’ be Grounded?